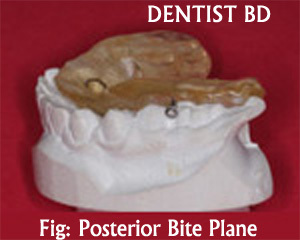 It is a shelf of acrylic added to the baseplate to clear the occlusion or to reduce the over bite if it interfere with tooth movement . 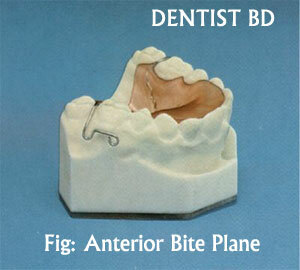 It can be used when the occlusion interferes with tooth movement or when we have deep bite . They are usually flat & parallel to the occlusal plane. 1. Enough height to disocclude posterior teeth 2-3 mm . 2. Enough width to occlude with lower incisors when the mandible is Retruded . 3. It should not encroach tongue space . 1. Reduced or average overbite . 3. Unilateral posterior crossbite .